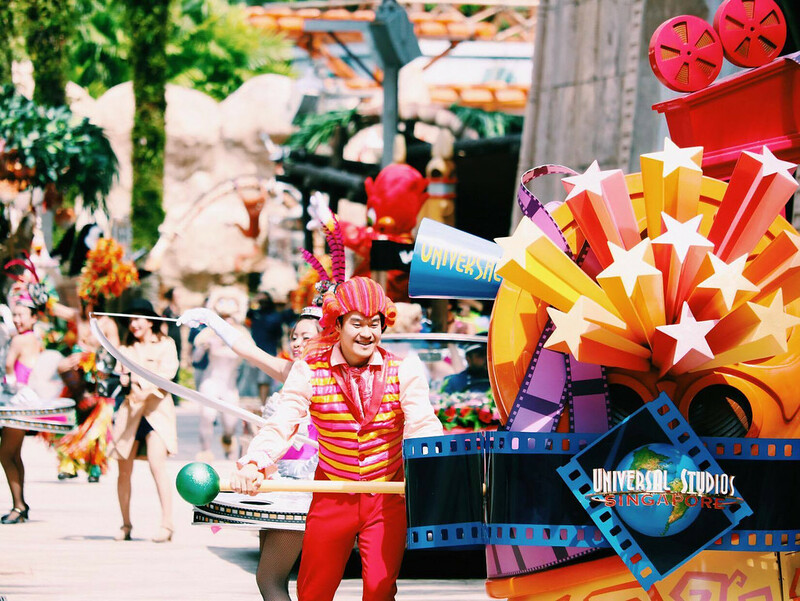 Easter festivities returns to Universal Studios Singapore, with a bigger line-up this year. Check it out! 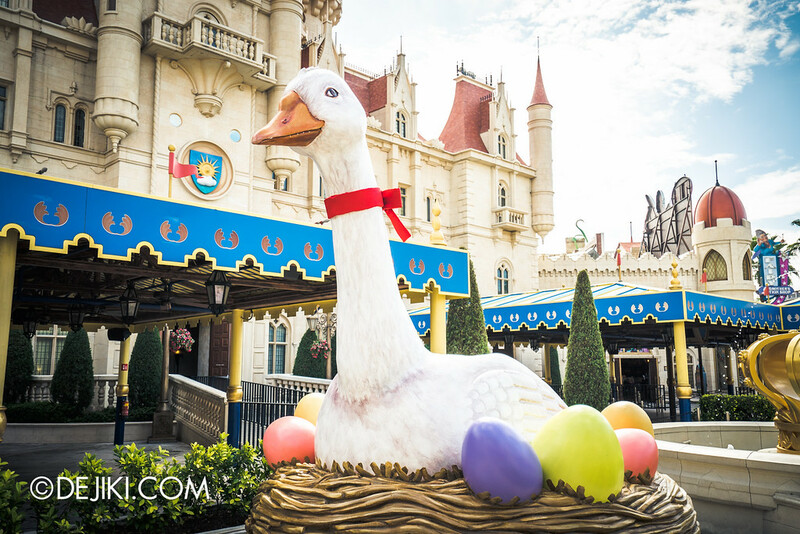 This year’s Easter Eggstravaganza will be held from 7 March to 17 April 2016. 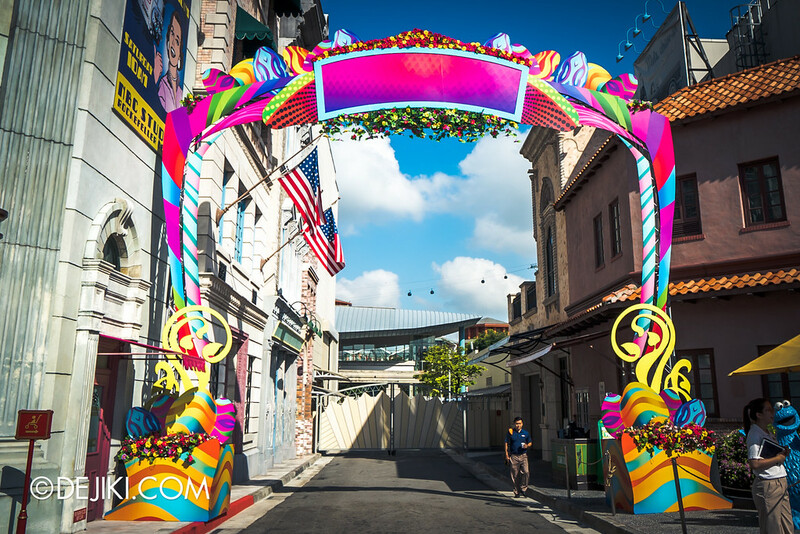 We visited the park 2 days before the event launches, but the entrance arch is still being done, while the stage at Hollywood is missing… or maybe there’s nothing this year. Eggingham Gardens will return at Stage 28 as a photo-op meeting place, but entering it won’t be as simple as chasing the Egg Lord. You see, these two attractions are no longer included in basic park admission. 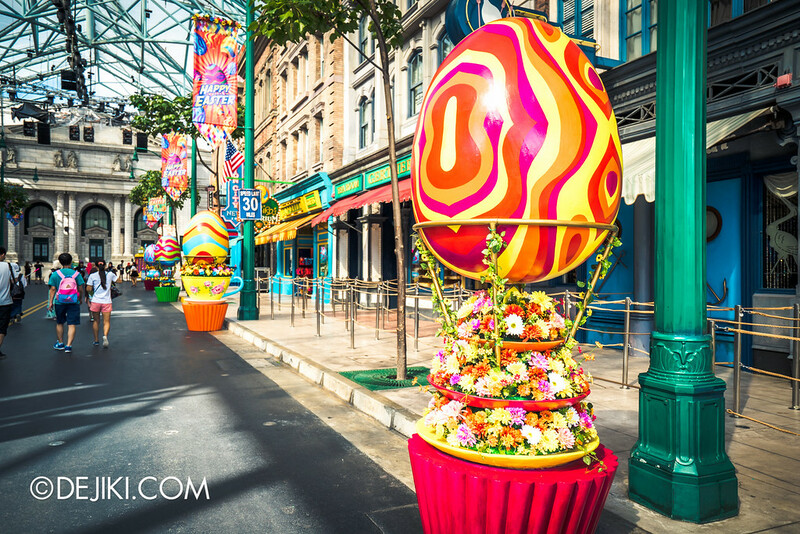 Guests will need to purchase an add-on called Eggsclusive Easter entitlements. Scroll down for more info. But things outdoors, such as these giant eggs in New York (and around the park) will be free for guests to enjoy. 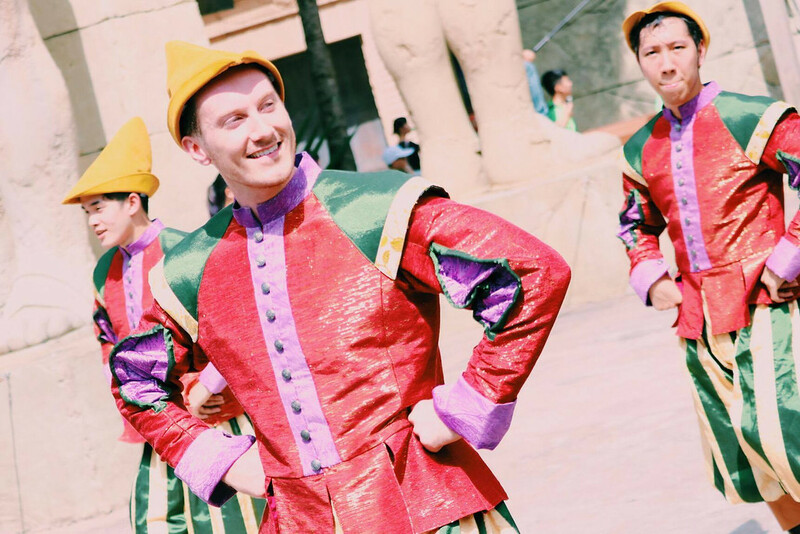 There will also be a mini segment in the park’s parade, known as Sunlight EGGspress gang, which features performers skating through New York and pass beads to guests. Nicer banners around New York this year. There will also be a projection show at the New York Library too – it’s an array of 8 projectors, so the end result could be stunning – literally. 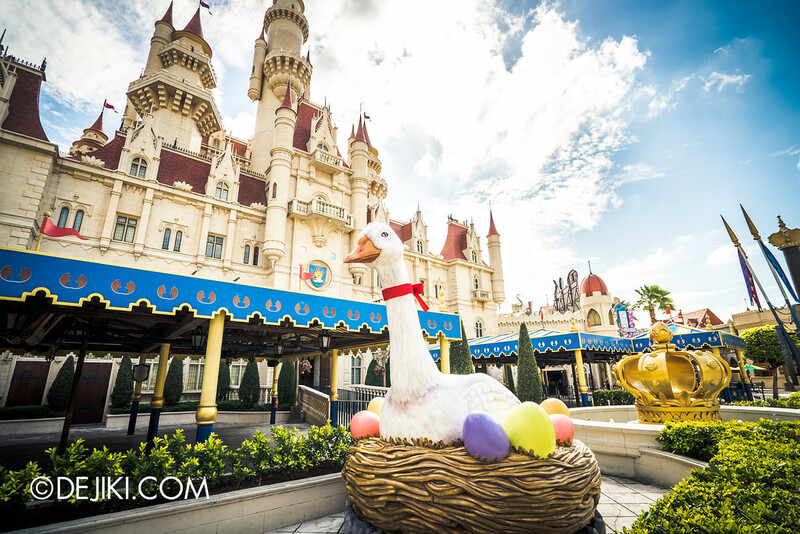 Most of the eggs from last year’s park event have returned to Far Far Away at Madagascar, with the new Giant Goose photo op in front of the castle. 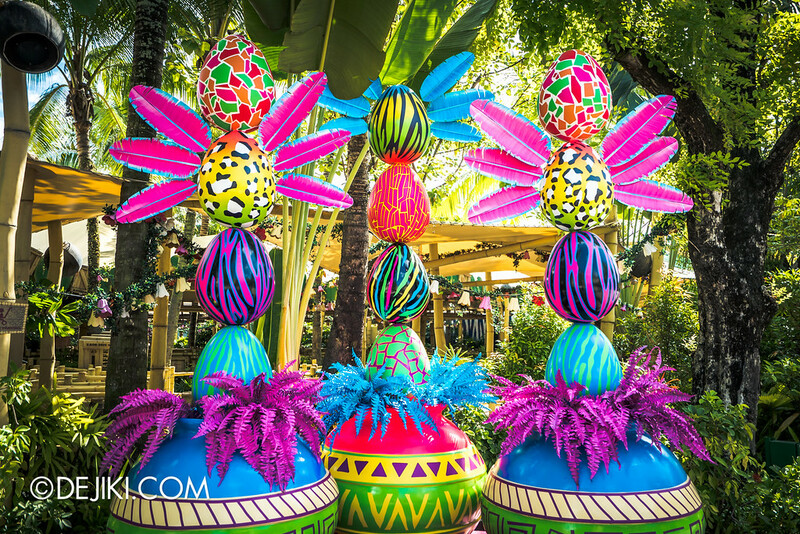 The Egg Posts at Madagascar received some dazzling paintwork. The Egg Hunt this year will reward participants who complete the leaflet correctly with a Despicable Me Minion Easter Egg. 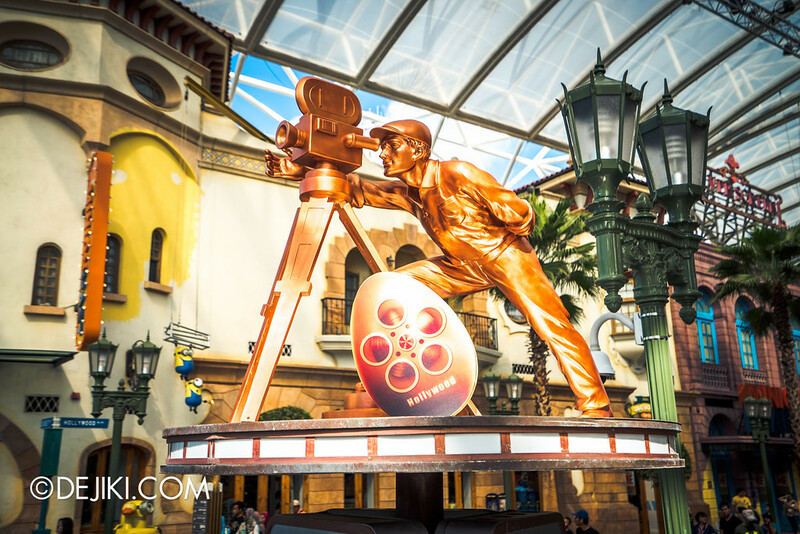 Here’s a hint for the ‘hidden egg’ at Hollywood. 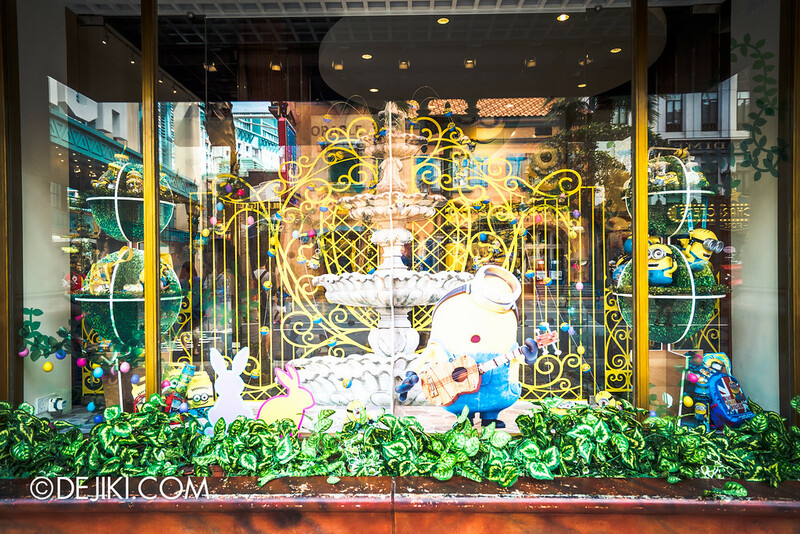 – Easter Egg Hunt Activity, where participants will receive a Minion Easter Egg after completing the hunt. 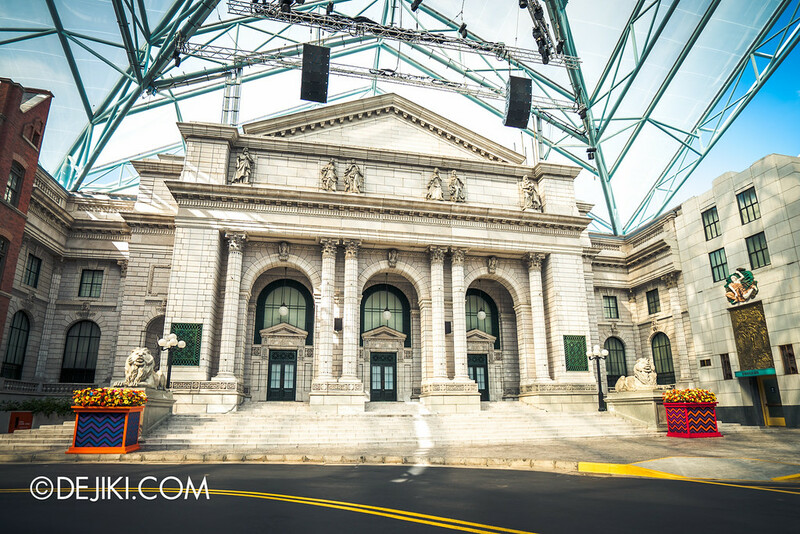 Once a guest has purchased an upgrade, I believe they will be given a wristband and be allowed to enjoy the second and third activities as often as they wish for the day. It might seem a bit strange for the local crowd, but other major theme parks have also done up-charge for optional seasonal attractions. 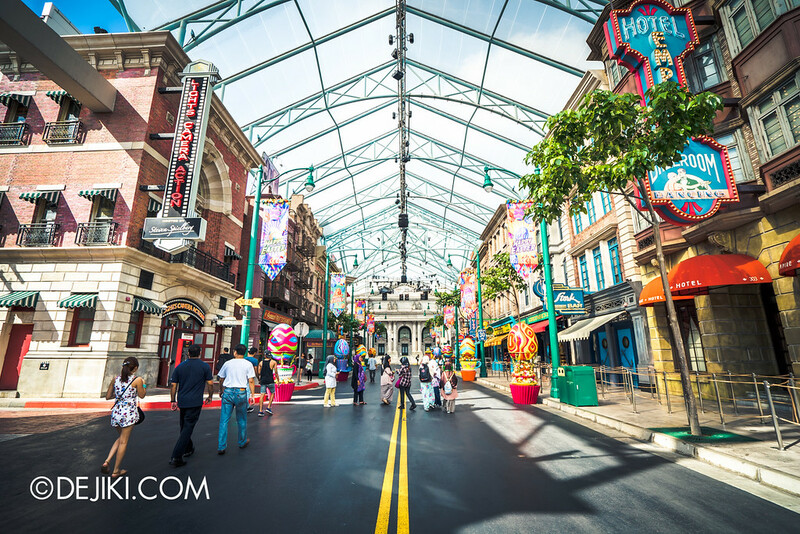 However, those (and speaking from experience, these are Disney Parks) places had provided some rather unique experiences that park guests are willing to pay more. We’ll have to wait and see if the Egg Lord’s wedding is worth the extra fee. 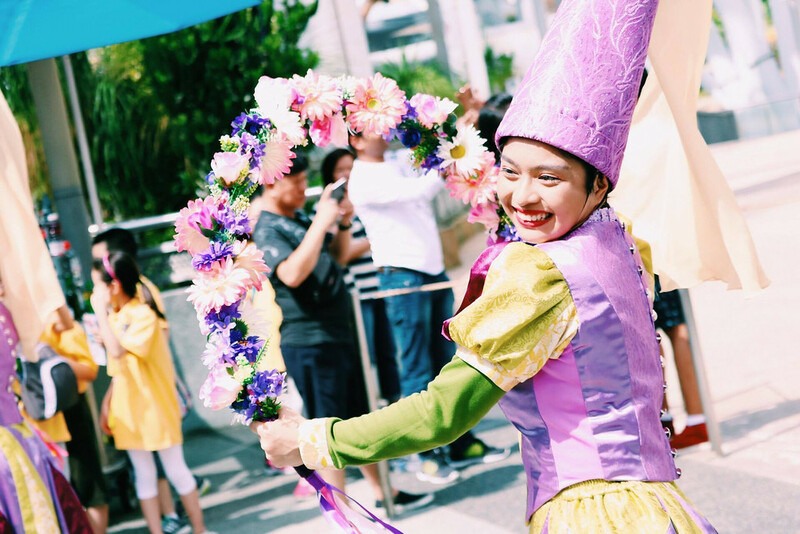 Meanwhile, Check out our eggcellent coverage on 2015’s event here! The Casa del Wild Food Court will host the Easter Buffet Lunch during the Easter Eggstravaganza event. 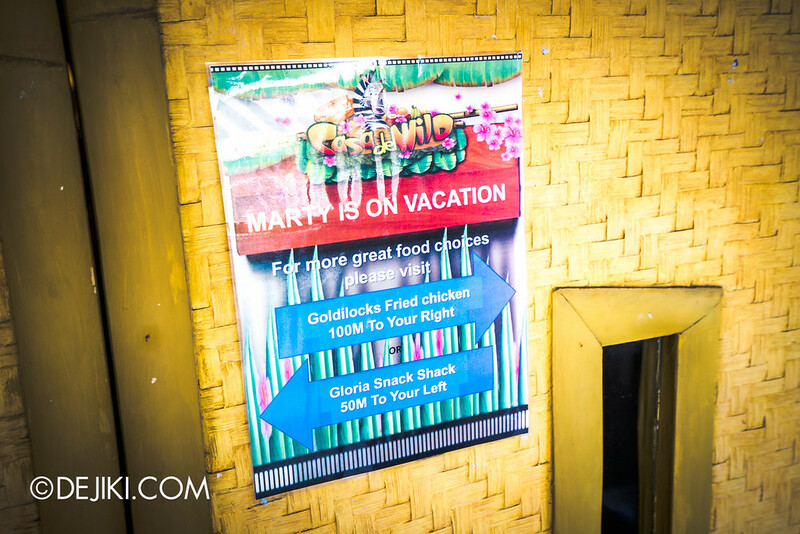 Two seatings are available: 11:00am – 12.30pm and 1:30pm – 3:00pm. 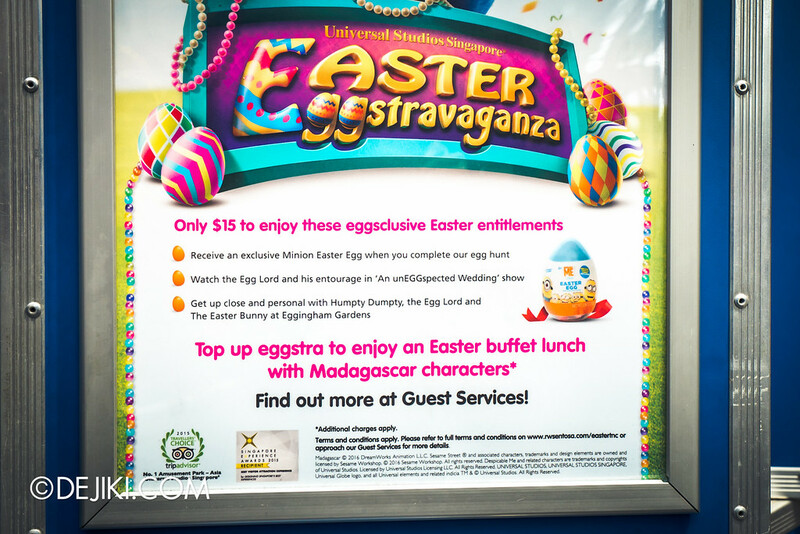 Prices start at $28 per child and $38 per adult guest; and it will include ‘Eggsclusive Easter entitlements’. Madagascar characters will meet and greet guests during the buffet. According to park regular (and super fan!) 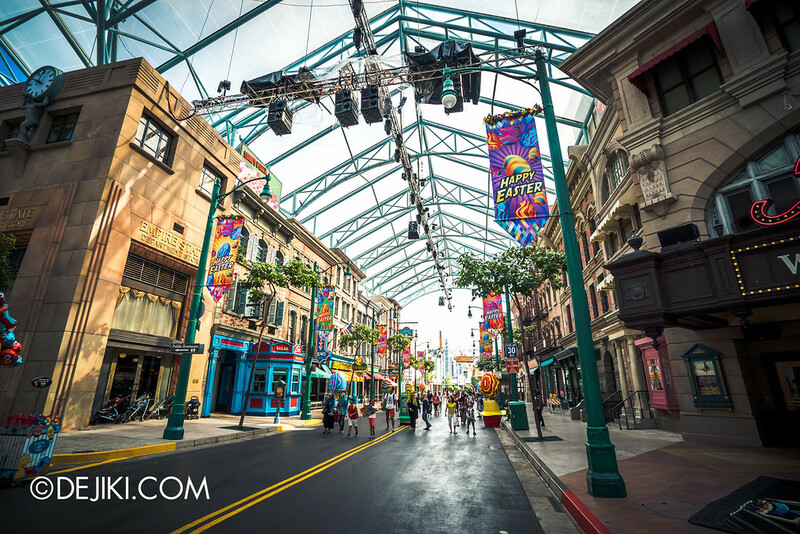 Tong Ming, there were some changes to this year’s edition of Hollywood Dreams / Universal Party Parade. 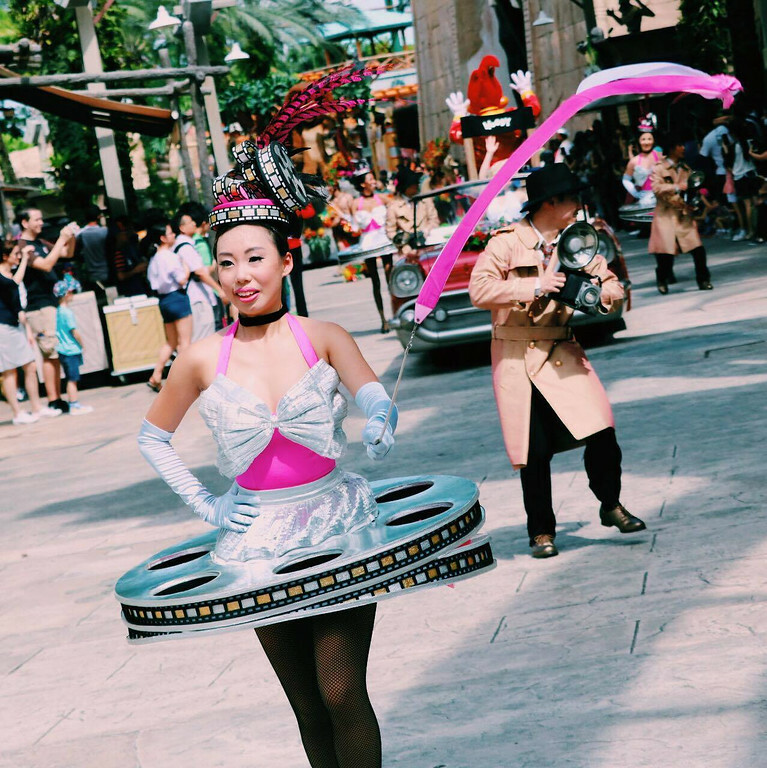 Firstly, all references to ‘5th Anniversary’ are taken off, while there are notable wardrobe changes for the Far Far Away segment, as well as some props, such as the ribbons. 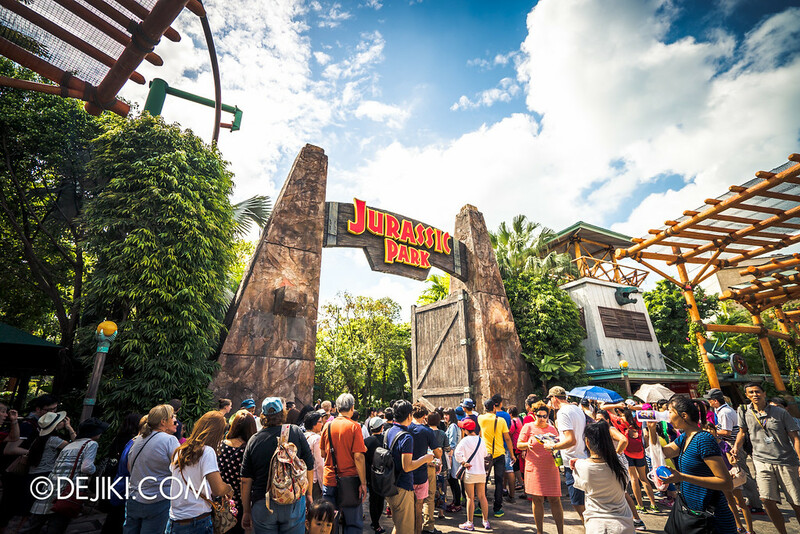 Over at The Lost World, two major attractions will be closed within the next two months, but thankfully not at the same time. 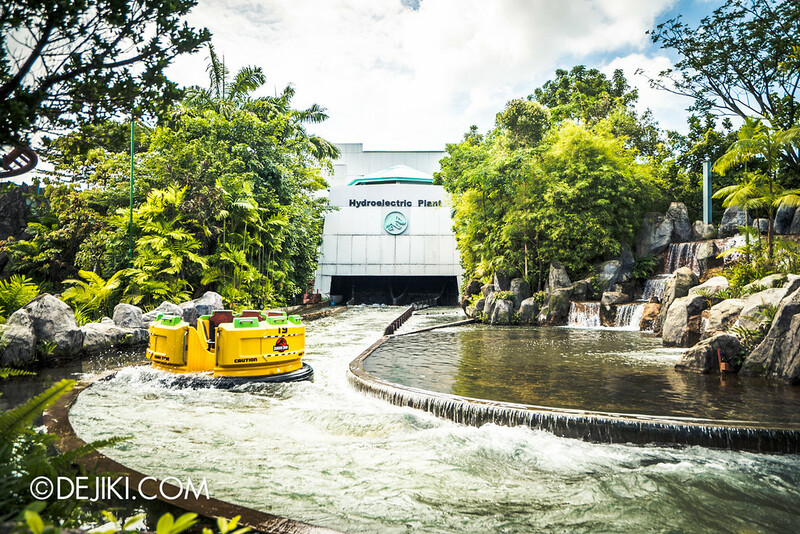 Waterworld is closed from now til 31 March 2016 while Jurassic Park Rapids Adventure will be closed from 15 – 29 April 2016. A lack of love for this ride has clearly shown during my last visit to this attraction; it definitely needs some improvements. 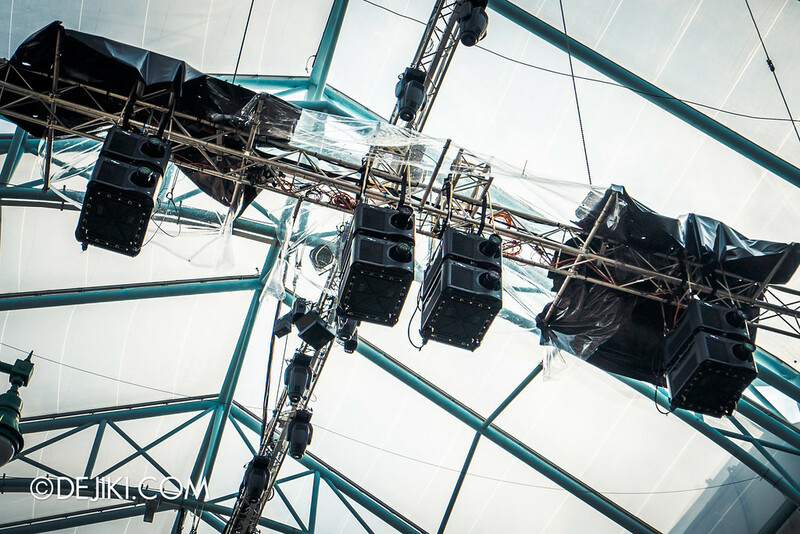 I’m talking about ‘sets falling apart with backstage in clear view’ sort of improvements. Pantages Hollywood Theater will reopen from 7 March 2016 for An unEGGspected Wedding, this year’s Easter stage show. 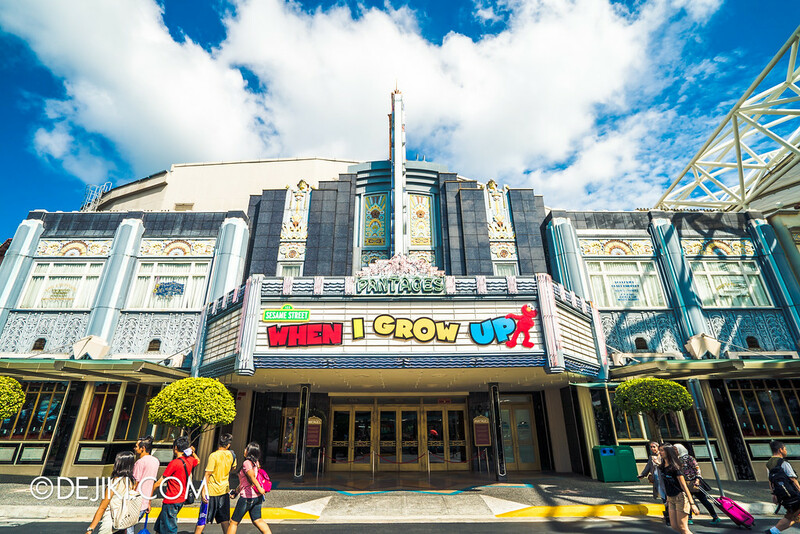 This show will last for the entire Easter season, so the Theater is expected to be closed for a short period after 17 April 2016 to undergo changes to whatever the park has planned for – perhaps the return of ‘When I Grow Up’ again. 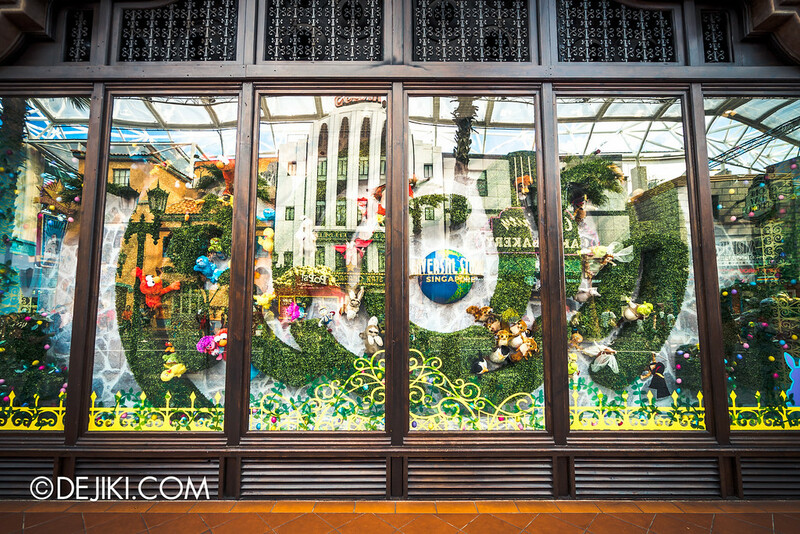 Here’s our obligatory update to the Universal Studios Store Seasonal Display window. 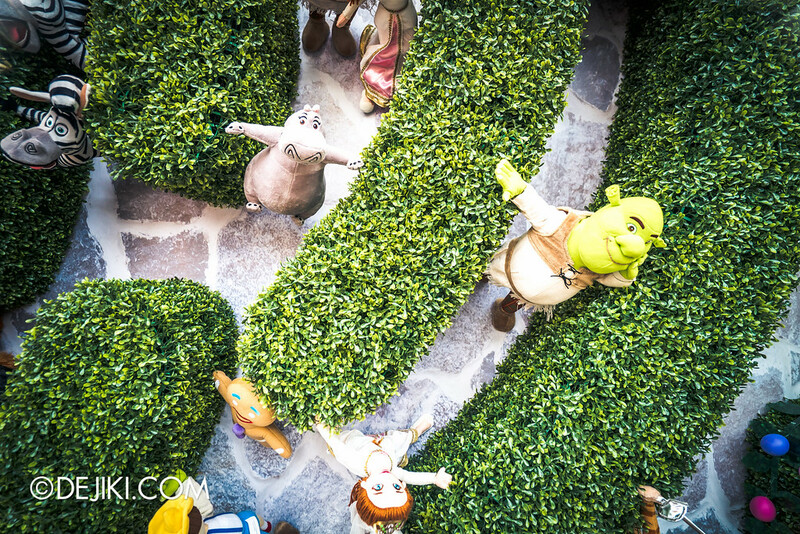 Pretty cool, and aerial view of some garden maze, with (probably overstocked) plush toys as decorative elements. Simple, smart, cute. Even the other windows had a bit of festive touches on them. 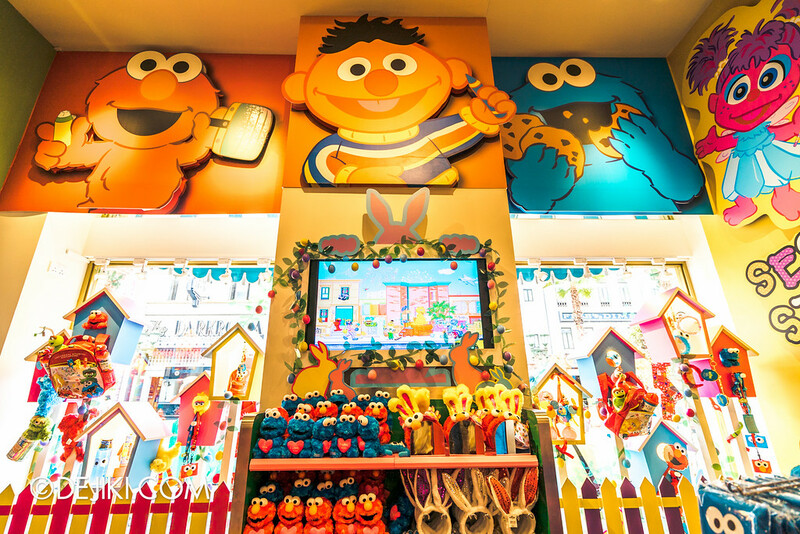 And an interesting Baby Sesame Street setup. 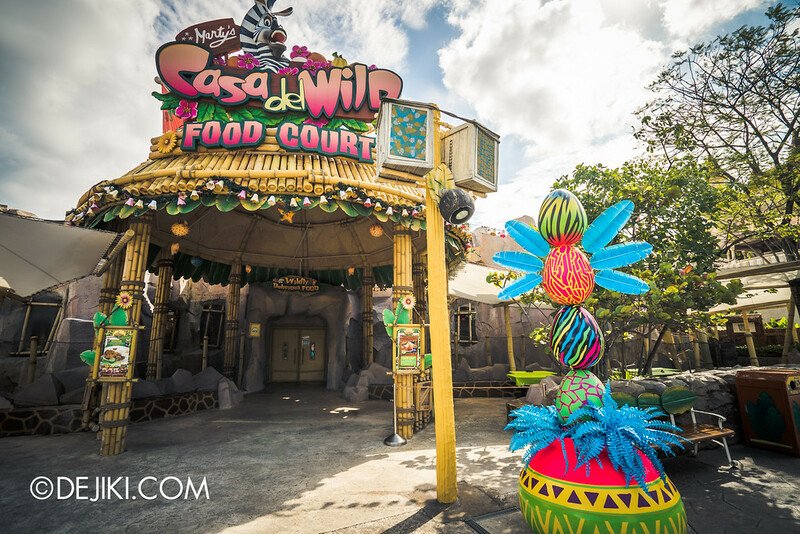 The Casa del Wild Food Court will be closed during the Easter Eggstravaganza event period (7 March – 17 April) as it will be hosting the Easter Buffet lunch. This could look nicer and not like some Powerpoint 2003 thing. 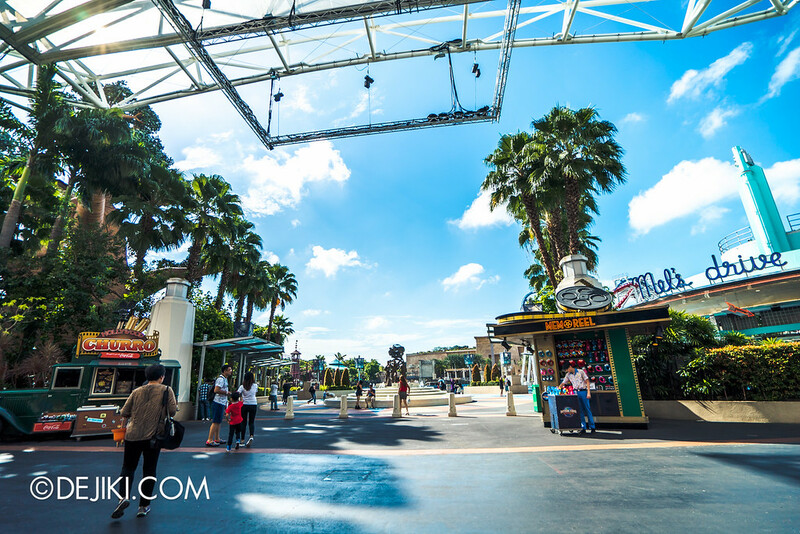 Have you used the Universal Express kabe at Transformers? Recently the park has adopted an additional check – scanning pass barcodes. After more than 5 years of just crossing out tickets boxes and printed tickets (which can be easily faked), the park has finally stepped up on this with digital pass validation. 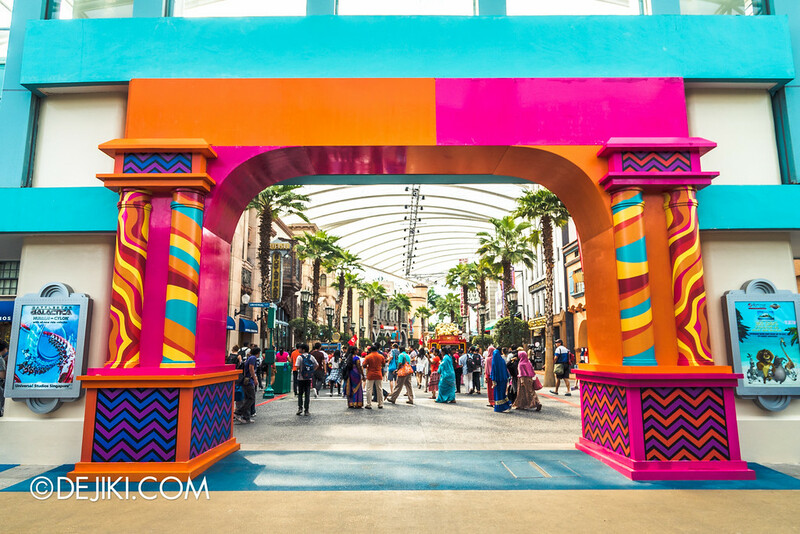 Even Annual Passholders are not spared – in fact the passholder’s photo will be displayed for everyone at the entrance to see. 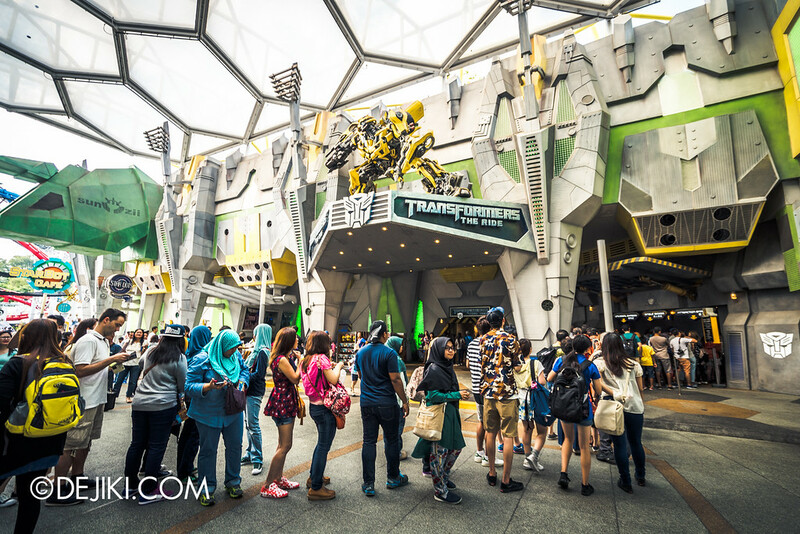 We’re not sure if this will be expanded to all attractions eventually, but certainly a popular ride like Transformers will have lots of park guests trying to ‘game’ the system. Good news for adventurers! 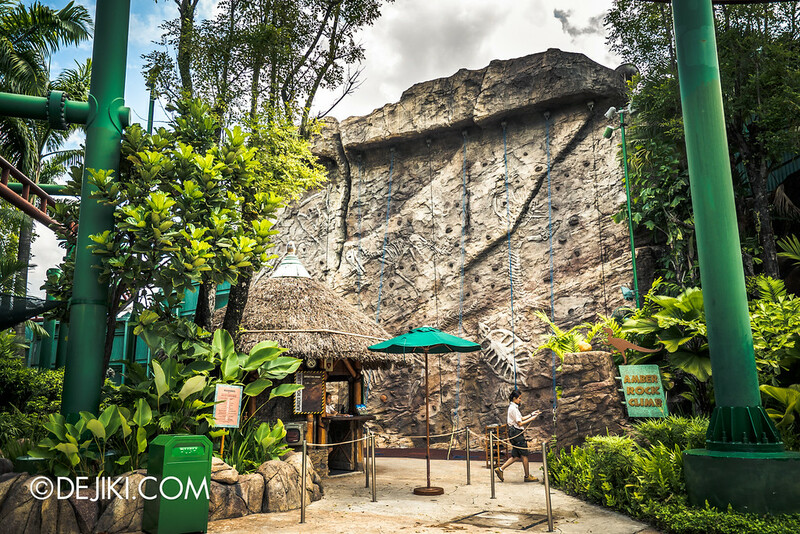 Jurassic Park’s Amber Rock Climb is now free for all guests. Climb away! 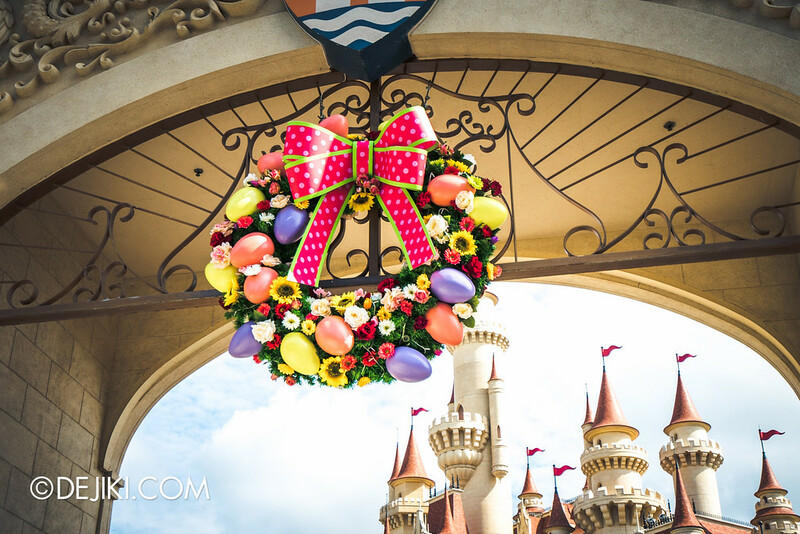 We’ll try to head back to the park for the Easter event, but no promises because lately we’ve been quite busy with a lot of other stuff in life™. If you’d like to help out and contribute photos, trip reports or even interesting things you saw, feel free to email us! Life?! Life? How could you let something as trivial as…”life” get in the way of giving us park updates?!?!? 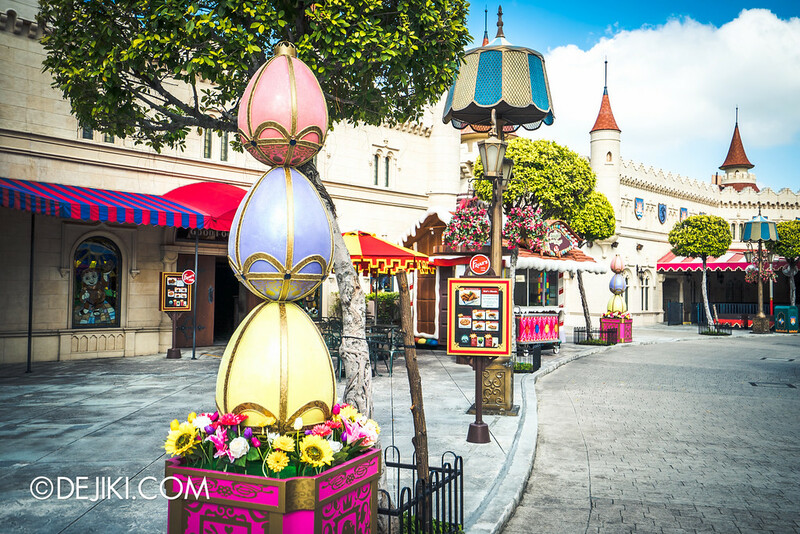 So AP holders also have to pay eggstra for the Easter Eggstravaganza? Could the goose be Fifi from Shrek 4? Does RWSIA (AP) / SP holders still need to pay for the easter entitlements? If so, are there any discounts for AP / SP holders without buying online? Apparently now AP can redeem one Easter pack for free. See his latest post! To answer the earlier question, AP and season pass will get to watch the Easter performance by flashing their cards. As for the egg hunt map. Only entitled to 1 card for entire event.